Camellia x williamsii ‘St Ewe’. This stunning camellia flowers its heart out what ever the weather throws at it. 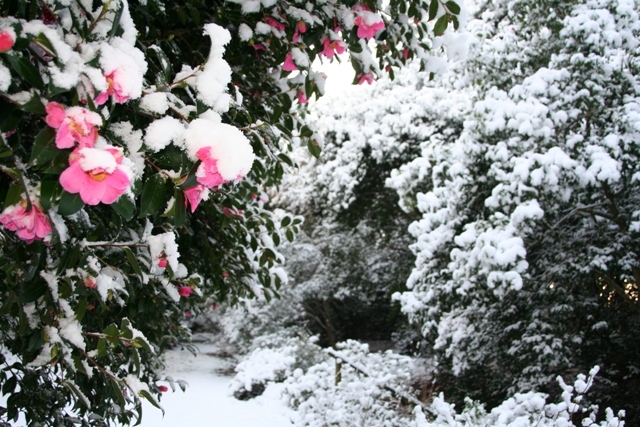 She flowers in snow and ice, survived the #beastfromtheeast to put on a truly stunning display that will last for at least another month (it started flowering before Christmas) If you only have room for one camellia this is it.